Cabin Brewing Company beer is designed to be fresh, flavourful, complex and hop-centric. Check back regularly for new releases. 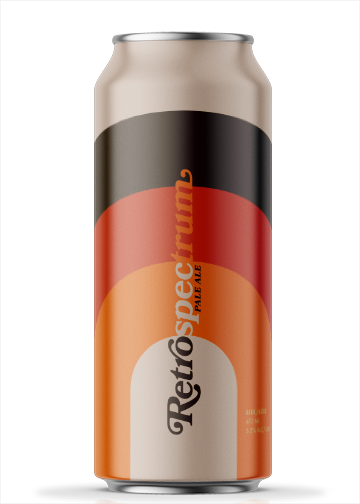 Retrospectrum Pale Ale is easy enough to drink every day, yet complex enough to challenge your taste buds every time. Perfectly balanced with a complex malt body, our hop-forward take on the classic American Pale Ale is exploding with tropical fruit and citrus aromas and flavours, thanks to generous late additions of Citra and Amarillo hops. Our take on the classic northwest American IPA shuns the heavy caramel and resin notes typically found in this style for something more refined and unique. 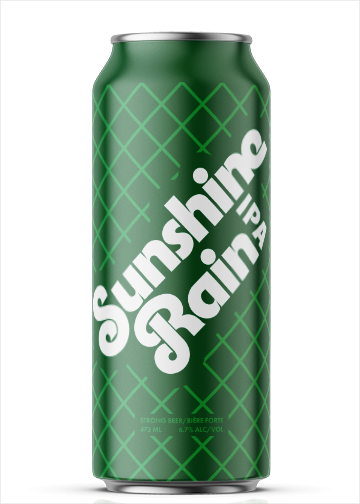 Sunshine Rain has been brewed to be balanced, lively, fresh and dry, but doesn’t hold back with an aggressive dank and tropical hop punch - a combination of Simcoe, Mosaic and Citra hops. We have jammed all the flavours and aromas we possibly could - and then some - into our New England Pale Ale. Red Shed raw wheat and oats provide a soft, pillowy body and silky mouthfeel. With a maelstrom of tropical hop flavours and aromas from out-of-this-world dosing of new world hops, this hazy beer will fill your heart and saturate your senses. Seasonal, one-off, experimental and whimsical beers from the Cabin, brewed to be enjoyed now. First Light: when the dawn awakens, when the coffee goes on and when the day is filled with endless possibilities. It’s when we end our nights, start our days and dream big dreams. This beer was brewed on International Women’s Day by the women who help make Cabin great, as part of the Pink Boots Collaboration Brew Day. Using the Pink Boots hop blend, they carefully crafted a delicate yet assertive west coast-style session IPA. It is light enough to be sessionable, yet loaded with amazing floral, spicy and citrus aromas and a lingering nutty malt backbone. In the Night Kitchen, beer and food worlds collide. We take a full bodied milk stout, and judiciously layer flavour upon flavour to create a beer that is like dessert in a glass, while also tasting like a well-balanced beer. Hazelnut, almond, cinnamon bark, vanilla and custom-roasted cacao beans from Calgary’s own bean to bar experts McGuire Chocolate bring this decadent beer to life. This beer was brewed in collaboration with CRAFT Southcentre for their community tap to raise funds for the MS Society. It is served at CRAFT under the name Hard Wired Pastry Stout. 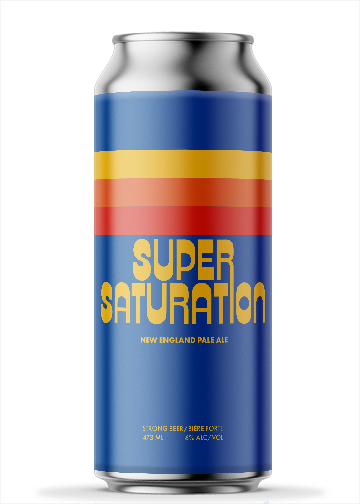 Just like our flagship hazy pale ale Super Saturation, but even more super! More beautiful hazy goodness. More crackery malt complexity. A whole lot more Citra and Simcoe hops. More hop variety with some Amarillo thrown in to give it a good old-fashioned burst of citrus and tropical fruit. There is more flavour, more aroma, more heft and more deliciousness. There is a whole lot more of everything, leaving your senses even more saturated. More? Yes, more. Of everything. That’s not just super - it’s super duper. There is nothing wrong with your tastebuds. Do not attempt to adjust your palate. We are controlling the wave after wave of flavour and aroma that is now mesmerizing your senses like a wave of white noise. A treasure trove of Sabro, Amarillo and Mosaic hops bring notes of tangerine, mango, cream, berry fruit and light wood. Wheat and oats lend a soft, pillowy mouthfeel that lingers on your tongue like a slowly melting orange creamsicle. Tune out, drop in and let your senses float to their outer limits. Still can’t decipher all those flavours? Please rewind and begin again. That winter life is hard. Sometimes you just need to slump into your favourite chair, put your feet up and chill the hell out. Pipe & Slippers Wheat Porter is how we unwind. A subtle wisp of smoke tickles the nostrils one minute, then is gone the next. Chocolate and caramel notes dominate, with toffee and dried fruit flavours and aromas creating a wonderful complexity. Delectable wafts of freshly toasted bread remind you that wheat is your friend and wants you to be happy. Some say there is no such thing as a wheat porter. We say stick it in your pipe and drink it. All work and no play makes Professor Plum a dull boy. Was he the mysterious purple-clad figure roaming the halls of the Overlook Hotel the night the Grady twins died? We have no clue. We do, however, know a good mash-up when we see it. Like the salty and sour flavours of German gose beer, melded with the rich, dark fruit notes of ripe plum. Additions of coriander and wheat give a lingering flavour that shines. It’s to die for. Fresh-baked cobbler - does anything smell better? We’ve captured the essence of walking into the kitchen on bake day with our first fruit beer. Wafting aromas of baked pie crust, vanilla and cinnamon emerge from the glass, which is filled by a beer of the most vibrant shade of violet thanks to an absurd dose of blueberry puree. Don’t worry beer purists - this beer finishes dry and clean, with a lingering malt complexity. A fruit beer that actually tastes like beer! “When the hurlyburly’s done, When the battle’s lost and won.” So says the second witch in the opening of Shakespeare’s Macbeth and so we find ourselves after the hurlyburly of brewery construction. This rich Scottish ale blends seven malts, including specialty malts from Red Shed Malting (AB) and base malt from Origin Malting (AB). Dried fruit notes dominate, with hints of toffee, chocolate and caramel, and finishes medium-dry. Cabin's step-by-step account of building a brewery in Alberta. Get to know the Cabin crew as they share the highs and lows that go with chasing a dream.